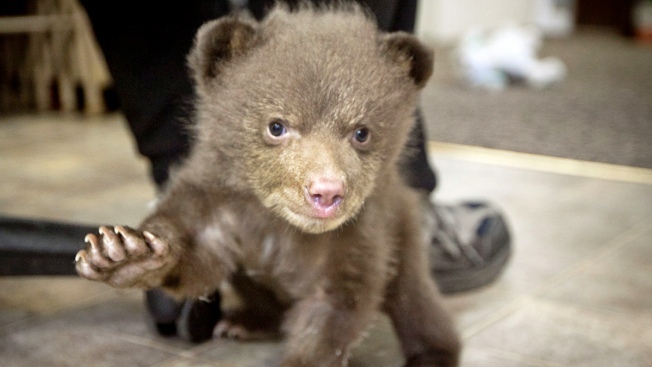 The Lake Tahoe Wildlife Care Center has a brand new resident: this newborn bear cub. The mystery of the adorable bear cub named Tahoe may be solved. The 10-week-old cub was dropped off at the Bear League organization in Lake Tahoe about a week ago weighing just under 5.5 pounds. With no note attached, wildlife officials said they had no idea where she came from. That was until a man placed an anonymous call to the Bear League organization saying that he found the cub crying and hugging her deceased mother near Humboldt Redwoods State Park. The man said authorities told him to leave the bear alone but that his conscience would not allow him to walk away and leave her to die, according to a post on the Bear League's Facebook page. The post said the man "knew the answer to every question regarding where she was placed, what else was out there" and how she was dropped off. The group plans to use the information he provided, along with DNA testing, to "pin down her origins" to help determine a location for an eventual release. Her caretakers have said she is doing well and has a healthy appetite. The bear cub was spending much of her time sleeping and learning to walk. More photos and videos of the cub can be found on the Bear League's Facebook page.